A slight change in our body can have a major impact on our emotional state. Just as an external event, such as a good or bad news, can instantly change our mood, physiological and hormonal internal changes in our body also have the power to transform our emotions. Our posture alters the hormonal composition of our blood, and in this way, it affects our mood. Several hormones have different effects on our mental state: Cortisol is the stress hormone; that is present in our blood, the more we feel stressed. Testosterone is the hormone of trust; the most active. The Harvard psychologist Amy Cuddy has discovered that we can change our cortisol and testosterone levels through the posture exercises. Cuddy calls postures of “high-power”; the open and relaxed posture, that ‘occupy’ space. She also defines as “low power” postures those closing postures, tension, which limit the body in a small space. In one of her most famous experiments, Cuddy has asked a group of participants to take a ‘high power position’ for two minutes and another group, on the other hand, to take a ‘low power position’ for the same time period. 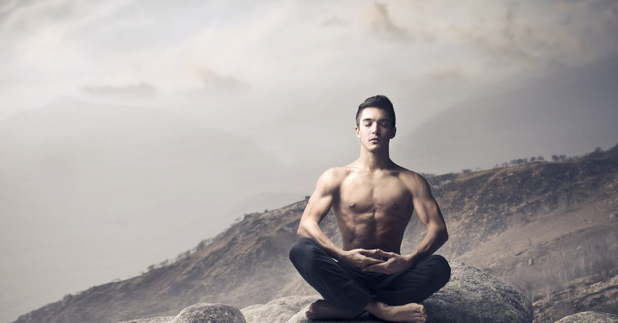 The ‘high power posture’ group, had a greater amount of testosterone and a reduced amount of cortisol in the body. 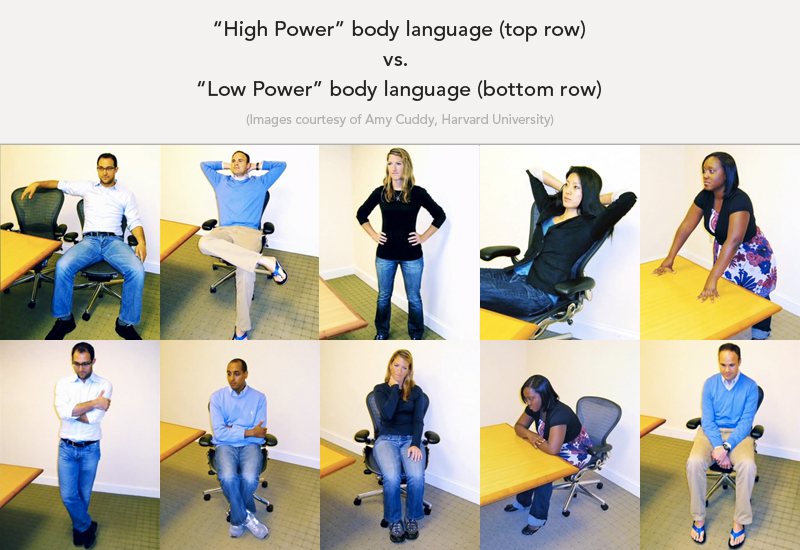 The opposite effect occurred for the group with ‘low-power posture’. In other experiments, the researcher has found that taking a ‘high-power posture’ before an interview significantly increases the level of trust that feels our interlocutor during the interview and then our chances of us being hired. The ‘power posture’ decreases stress and increases trust. Oxytocin or ‘the cuddle’ hormone is another hormone that affects our emotional state. When the level of oxytocin increases in our body, we feel more relaxed and at peace. According to psychologist Alex Korb, oxytocin produces a soothing sensation reducing our emotional reactivity to negative thoughts and the elements that can make our environment threatening. 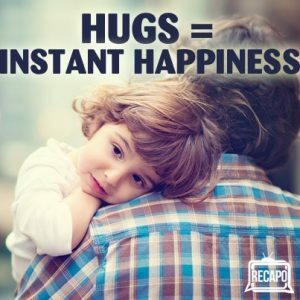 Korb argued that interpersonal touch is one of the most powerful ways to increase oxytocin in the body: hugs, handshakes, light taps on the shoulder, and orgasms are all practices that increase the level of oxytocin in the body. “The feeling of heat can increase oxytocin – or at least mimic its effects. Our facial muscles have an effect on our emotions. A change in our facial muscles also induces a change in our emotional state, that is what a psychological experiment conducted in 1988 showed. In this experiment, Fritz Strack and his colleagues asked a group of people to watch cartoons while holding a pencil between their teeth. By holding the pencil between the teeth the muscles when we smile are activated and used in this way the participants have started to smile. While another group was asked to watch the same cartoons while holding a pencil in their mouth, this facial movement activates muscles used when we are frowning. In the moment that participants of both groups were asked to assess how much fun the cartoons were, the ‘smiling’ group gave a significantly more positive feedback than the second group: watching cartoons, while smiling made them look more fun, watching cartoons while they were frowning seemed less amusing to them. When you smile, it changes the way in which a situation is experienced. A BBC reporter wanted to test the effect that triggers a smile on emotions; He strolled in the city of Edinburgh on a gloomy day and asked people to put a pencil between their teeth and so activate the muscles used to smile. After only one minute the mood of the latter was greatly improved. Smiling can change the way a difficult situation is experienced, a power posture can increase confidence in moments of anxiety and finally, the hugs, they are able to produce a feeling of warmth and peace of mind when we are overwhelmed by stress factors. When our brain locks into a spiral of negative thoughts, it is sometimes wise not engage with these thoughts, on the contrary, it is important to focus on our bodies and, through the changes of it, also induce changes in our mood. PLEASE SHARE WITH YOUR FRIENDS AND FAMILY THESE THREE HEALTHY HABITS! I think I should have found this site a while ago. 2017 is my 72nd year on this earth. I have started to make huge changes in my life, emotions, my healthcare and of course my environment (personal space) and who I permit to join me. Still a long way to go.